This month you can give money to charity by contributing your 5 words (Details here). Please join the fun Past 5 Word Reviews here. We’re up to $86. Surprisingly melancholy. More Gosling, please. The Dude’s life is bowling. Not as stupid as expected. Here’s my 5 word review for Crazy Stupid Love – Cute concept. Chemistry was off. 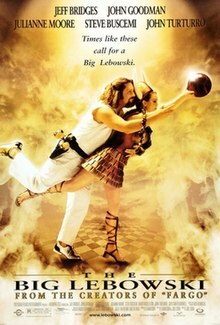 The Big Lebowski: Dude, I’m f—— high, dude. I’d heard so many good things about this one…just wasn’t my movie. Too weird. I haven’t seen the other two, though. I saw some of I Love You Man in Phuket and your right it wasnt as bad as I thought either. I wouldn’t mind seeing Crazy Stupid Love – but what your saying is its not quite the romantic comedy they portray it as. 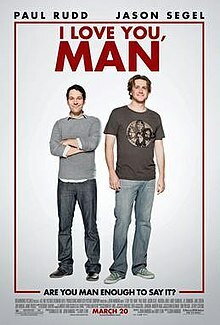 I want to see the first movie and even though I Love You, Man was sort of stupid, I liked it! Crazy Stupid Love: Surprisingly sweet, adorable, and funny.